Thank you to our sponsors, restaurant and beverage vendors, and attendees for another successful event. 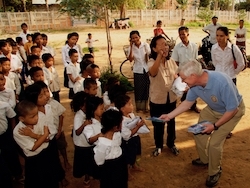 Your contributions allow us to fulfill our mission of support our community and international service commitments. Salin Low grew up in Oklahoma and lived in Manhattan, Dallas, Tulsa, and Philadelphia before moving to Connecticut. 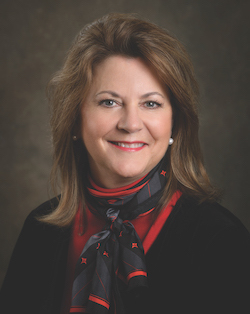 She attended William and Mary and the University of Oklahoma for undergraduate studies, receiving a Bachelor of Business Administration in accounting. Later she received a Master of Business Administration from the University of Tulsa and a Master of Divinity from Virginia Theological Seminary. Before going to seminary, she spent sixteen years in public accounting and banking. 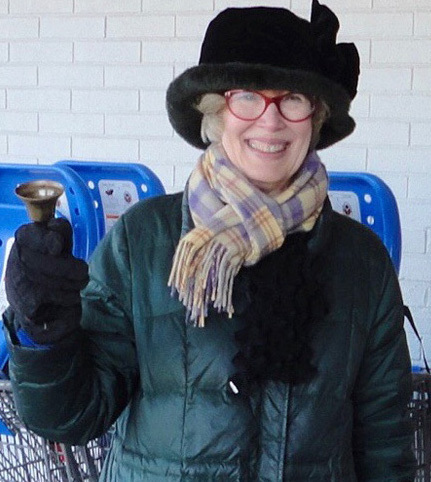 Salin has lived in Connecticut since 1993 and was rector of St. John’s Episcopal Church in New Hartford before she retired in 2014. She now substitutes and leads services at various parishes. She also serves on several boards and committees for the Episcopal Church in Connecticut. Salin lives in Canton in the Oxbow Ridge townhomes and is now President of the Board for the residents’ association. Her husband died in 2016, so her golden retriever, Ellie is now in charge of the household. Salin’s hobbies include knitting and going to the movies. Peter Vignati has fond memories of growing up in East Hartford. He says he is “the classic middle child” amongst five siblings. Peter attended the East Hartford public schools and went on to Bates College, where he majored in chemistry and biology. At Bates he really enjoyed playing golf and was the Maine intercollegiate champion one year. After graduation, Peter went to work for Enthone, a West Haven, Connecticut manufacturer of specialty chemicals for the plating, electronics and aerospace industries. He started in sales, first in Wisconsin and then returned to Connecticut. Later he became an International Marketing Manager, traveling worldwide establishing relationships with overseas companies to license Enthone’s technology to them and also to license some of their technology. Being single, it was an exciting time for him to see and experience different people and their cultures. He went on to earn a Master of Business Administration from the University of Connecticut, taking classes at night. 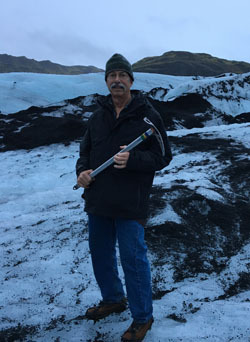 Gary Roman was born in Torrington, Connecticut and remained there through his college years until 1976. Since then, he has lived in Enfield, Suffield (thirty years) and now Canton (almost five years). Gary has a background in accounting. He earned his Bachelor of Science from the University of Connecticut and his Master of Business Administration from Western New England University. He began his career at Combustion Engineering, where he worked for six years. Before entering banking in the mid 1980’s, he worked as a CFO in the Massachusetts real estate management industry. He has been at Collinsville Savings Society since 2012. Natasha Haims was born in St. Petersburg, Russia as an only child. 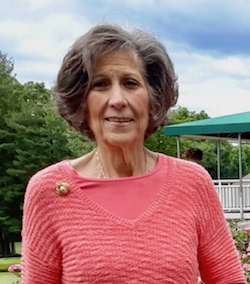 She immigrated in 1976 with her parents and came directly to Hartford, Connecticut where she was in one of the first five families from the Soviet Union to do so. 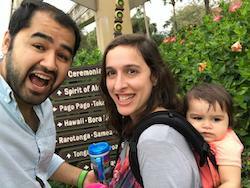 After arriving, she studied English as a second language, but shortly thereafter she went to work so that her parents could also learn English. Before settling in West Hartford, she lived in Baltimore for a year. 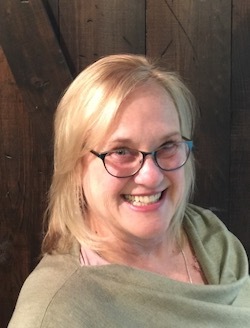 While working full time, she earned an Associates degree in computer studies and continued her education with a Bachelor’s of General Studies at the University of Connecticut. Later she earned her paralegal certificate from the University of Hartford, also while working full time. Rauf Majidian was born and raised in Tursunzoda, Tajikistan, where most of his family still resides. HIs appetite for education was established at the Tajik-Turkish High School in the same town, where he graduated and ultimately served as a tutor. At age twenty, Rauf decided to venture alone outside of Tajikistan and pursue educational opportunities in the United States. He spent the following years refining his English and going to school. He graduated from Brooklyn College, having majored in International Business with a minor in accounting. English is the fifth language Rauf has mastered. He is also fluent in Russian, Persian (Tajik), Turkish, and Uzbek. Heather Pantano was born in Worcester, Massachusetts and moved to Thompson, Connecticut when she was seven years old. She notes that Thompson is located in the “quiet corner” of Connecticut and that her house was one mile from Massachusetts and five miles from Rhode Island. 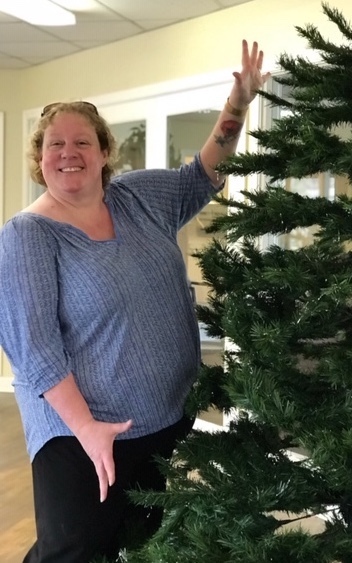 Although she spent most of her childhood in Connecticut, Heather like most people from Thompson, identifies with Massachusetts which has resulted in her passion for the Red Sox and the Patriots. 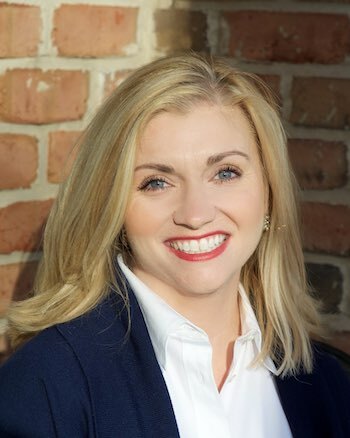 After graduating high school in 2000, Heather moved to New Britain, Connecticut and attended Central Connecticut State University. After graduation she moved around Hartford County from New Britain to Manchester to Rockville, back to New Britain, then to Windsor Locks, Hartford and finally to her current home in Avon. In addition to her BA from CCSU, Heather earned a Masters in Business Administration from Bay Path University. She is Director of Marketing for a Fortune 500 company, where she has been for over thirteen years. Robin DiNicola grew up in Newington, Connecticut. She attended Newington High School and Connecticut School of Finance and Management. 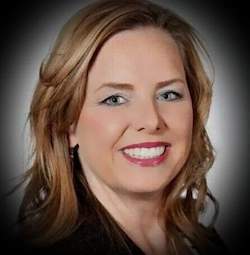 Robin spent many years in community banking and is now a Financial Advisor with Edward Jones in Southington, Connecticut. Robin has run three marathons, raising over $15,000 for charity. 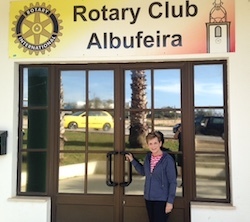 She is especially proud of being an Avon-Canton Rotarian and currently serves on the board. She is also a Paul Harris recipient and has served the Club as an editor of the Early Riser, Sergeant-at-Arms, Secretary and President-elect. 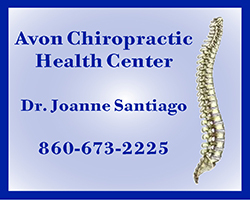 Robin is a long time member of the Avon Chamber of Commerce, having served as president and as a board member. For her service and dedication, the Chamber honored her with the Loren Bristol Spirit Award. Other organizations Robin has been involved with include the Salvation Army, the Exchange Club of Wolcott and the Junior Women’s Club. Larry Sullivan was born in New London, Connecticut. He married his wife Brenda in June of 1964 and graduated University of Hartford on their first anniversary. Their oldest daughter Colleen was born the day before. All-in-all they have five children (three boys and two girls) and eleven grandchildren. 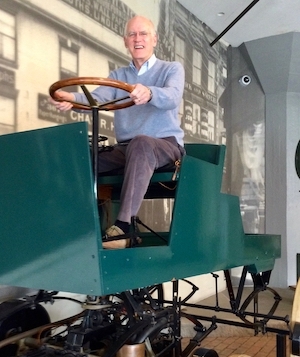 In September 1968 Larry went to work at O’Neill’s Chevrolet and took over the dealership in 1986. Later he expanded to two adjacent dealerships in Torrington with Chevrolet, Pontiac and Oldsmobile in one store and Chrysler and Jeep in the second. Around 2006, he added Cadillac, Buick and GMC in Torrington (after Pontiac and Oldsmobile were discontinued). In 2013 he purchased a Honda dealership, also in Torrington and at about this time, turned the management of the dealerships over to sons Sean and Kevin. He also turned over his Car Biz Collision and Towing Center off Old Farms Road in Avon to his son Tim. Chuck Joseph grew up in Stoughton, Massachusetts where he met and married his high school sweetheart, Debbie. They raised their family in Sparta, New Jersey and moved to Avon in 2010 to start their family business, operating ShopRite grocery stores in West Hartford and Canton. Their son, Chuck III who also works in the business, his wife Paige and granddaughter Morgan Joseph (better known as MOJO) live in West Hartford as does Chuck and Debbie’s daughter, Liz. Chuck attended Boston College as a pre-med student. After college, he began his supermarket career as Director of Operations for Heartland Food Warehouse stores. During that time he served as Chairman of the Finance Committee for the town of Mansfield, Massachusetts. In New Jersey, Chuck was the General Manager for the ShopRites of Hunterdon County. 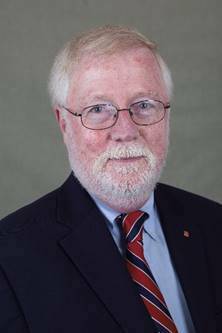 He also served on the Board of Directors for the Greater Morristown YMCA and was Vice Chair for Junior Achievement of Northern New Jersey. 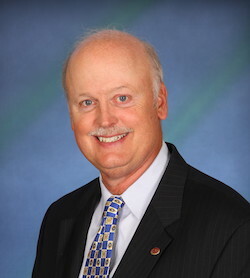 In Connecticut he is Chairman of the Connecticut Food Association, is a member of Focus on Canton and serves on the Board of Directors for the Avon Chamber of Commerce. Gary Miller was born and raised in New Jersey—mostly in Livingston, where he lived until leaving for Dartmouth College in 1966. He attended Dartmouth on a full Navy ROTC scholarship and was commissioned an Ensign upon graduation. He served as a Naval Aviator for twenty years prior to retiring in 1990. While in the Navy, Gary lived in Pensacola, Florida (one year), Virginia Beach, Virginia (fourteen years), Somerset, United Kingdom (two and a half years), and Key West, Florida (one and a half years). Following flight training, he flew helicopters for the majority of his career—mostly ship-based, engaged in helicopter anti-submarine warfare. While in England, he served with the Royal Navy, flew with the Royal Marines and worked at the Royal Navy Flight Safety Centre. Prince Andrew trained and flew at the same Royal Navy Air Station (Yeovilton). While serving, he received an MBA from Golden Gate University and the Aviation Safety Officer designation from the Navy Postgraduate School in Monterey, California. He completed a Master of Science in Computer Science from RPI while working for the Travelers in its IT Department. 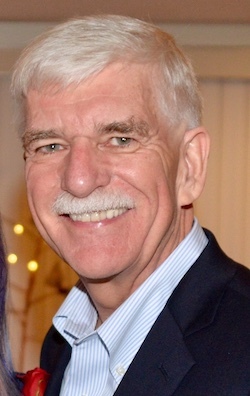 Greg DeManche grew up in East Hartford, Connecticut and lived in Pennsylvania, Tangier, Morocco, and Indiana before settling in Avon. While earning his Bachelor of Arts in Social Sciences at Hofstra University in Hempstead, New York, he was recruited for the rifle team and received varsity letters in track and field, football and soccer. 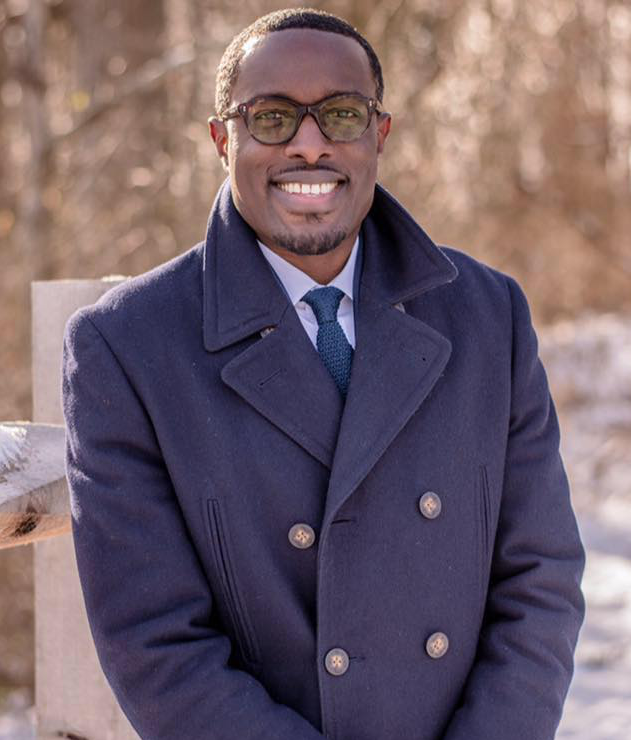 At Trinity College in Hartford, Connecticut he received his Master of Arts in Education and earned his Connecticut secondary school teacher certification. 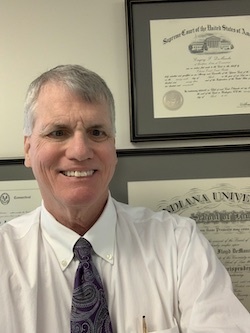 He earned his Doctor of Jurisprudence at Indiana University School of Law in Indianapolis, Indiana. Greg is currently an attorney at DeManche, McChristian, LLC in Avon. Previously he was a teacher, coach and dormitory master at the Rectory School in Pomfret, Connecticut; Director of Athletics, coach and teacher at The American School, Tangier, Morocco; Assistant Athletic Director, coach and teacher at The Park Tudor School, Indianapolis, Indiana; Tax Examiner and Senior Analyst at Indiana State Department of Tax and Department of Commerce; and Sales and finance executive at United Technologies Corporation, Otis Elevator Company, Indianapolis, Indiana and Farmington, Connecticut. Rollie Sterrett was raised in North Haven, Connecticut and graduated from Williston Academy, a boarding school in Easthampton, Massachusetts. He graduated Colgate University in 1965 with a major in political science. As an undergraduate, Rollie was on the varsity swim team and a member of Beta Theta Pi fraternity. He took Air Force ROTC and was commissioned a Second Lieutenant at graduation. In the USAF, Rollie was trained as an air intelligence officer (at Lowery AFB, Denver, Colorado), assigned to the Directorate of Targets at 7th Air Force Headquarters (Tan Son Nhut AB, Saigon) and after one year, in 1967, was assigned to the underground Command Post at Strategic Air Command Headquarters (Offutt AFB, Omaha, Nebraska). His duty assignments were as a daily intelligence/operations briefing officer at the Commanding General level, including USAF General William Momyer (Commander 7AF), USA General William Westmoreland (Commander US Forces, Vietnam), and USAF General Bruce Holloway (SAC Commander). Rollie separated from the Air Force as a captain in 1970. 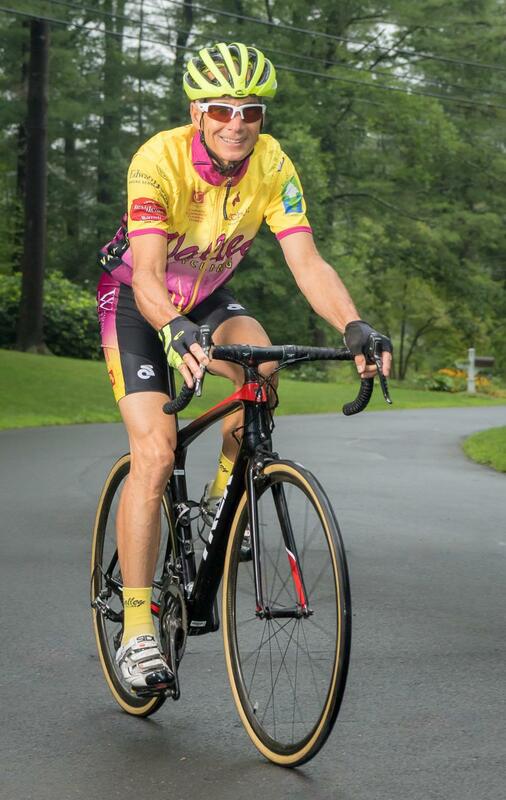 Paul Mikkelson grew up in Hartford, spent some time in Tampa, Florida and now lives in Simsbury, Connecticut with his wife, Ann. Paul and Annie have a son, David who works for the Travelers and is married to Jen, a pharmacist. Their daughter Liz is a consultant who works with women entrepreneurs and is married to Mark, who also works for the Travelers. 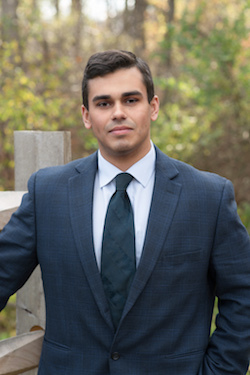 As an undergraduate at University of Connecticut, Paul was a marketing major. He earned his Masters in Business Administration at the University of Hartford. 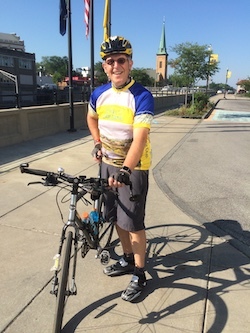 Early in his career Paul worked as an Employee Benefits Consultant for CIGNA. Later he became President of Dill, Joyce & Thresher Insurance, working with twenty-eight non-profit organizations. 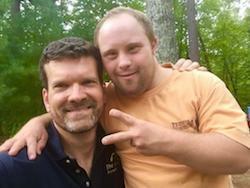 Paul is retired now, but still volunteers and serves as a board member with several of them. He is both a Chartered Life Underwriter (CLU) and a Chartered Financial Consultant (ChFC). 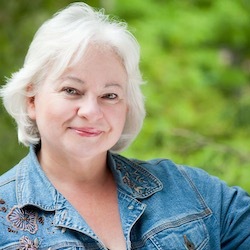 Deborah Stanwood was raised in Phoenix, Arizona along with five siblings. She received her Associates degree in 1985 from Phoenix Community College, where she met her husband John. She later pursued a Bachelor’s Degree in Early Education at Arizona State University until their first daughter, Kristin was born. Kristin was just six weeks old in 1987, when they moved to Connecticut. They were only supposed to stay here for two or three years but have been in Connecticut ever since. 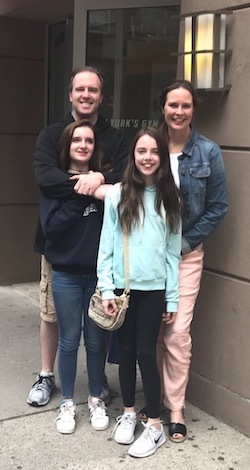 They now have three children: Kristin, who lives in New Orleans with her husband Andrew and two year old son Logan, JohnMichael who lives in Kentucky with his wife April and three daughters - Crystal (age seven), Willow (age five) and Harley (age four), and Jenna who lives in Washington, DC. The only child remaining at home is their eleven year old beagle, Maggie. Deb and John spend their free time traveling to see their kids and grandkids. 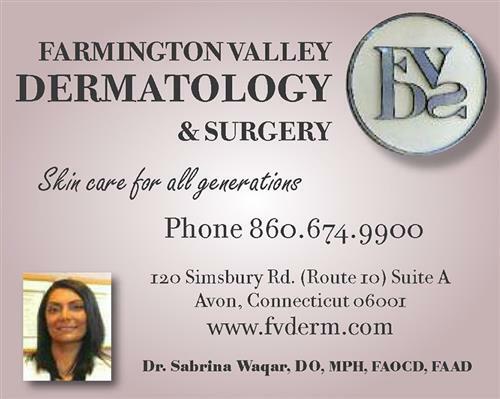 Dr. Sabrina Waqar, is currently a dermatologist in Avon CT. She opened her medical practice, Farmington Valley Dermatology & Surgery, in 2014. 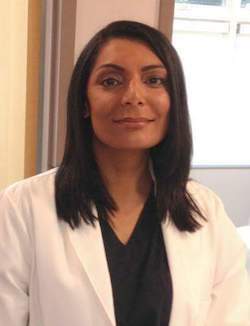 During various phases of her medical education, she has lived in California, Arizona, Pennsylvania, and Florida. She has an undergraduate degree in Biology, a Masters in Public Health, and a Doctorate in Medicine. She did an Internal Medicine residency and followed it with a Dermatology residency. 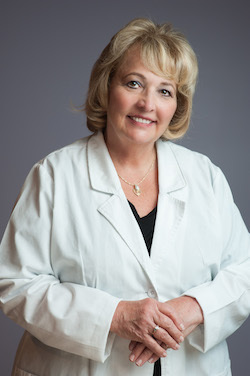 She is Double Board Certified in Internal Medicine and Dermatology. After she completed her Dermatology residency, Sabrina her husband Joel moved to Worcester Massachusetts. After working for two large medical groups, she decided to open her own practice in the Farmington Valley. Sabrina immigrated from Pakistan with her parents and siblings in 1992, and settled in Oakland California. She met her husband Joel while volunteering at the Berkeley Free Clinic. Kathleen Parr spent her early years in various suburbs outside of Detroit, Michigan. After receiving her Bachelor of Arts degree at Michigan State, she moved to London with her future husband Stephen for a six month work/study program. Afterwards, they backpacked through Europe and returned to Connecticut where they worked and finished their Master’s degrees at the University of Connecticut. In 2000 they moved to Bethesda, Maryland where she had accepted a position with PG&E National Energy Group. 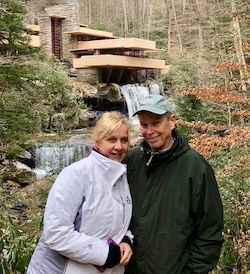 In 2004 they returned to Connecticut and settled into a home in Burlington where Kathleen consults part-time on energy management for merchant power plants. They currently spend their winters working from their condominium in Austin, Texas. Eleni (rhymes with “a-penny”) Kavros DeGraw was born in Honolulu, Hawaii. She grew up in Alexandria, VA and moved to Farmington in 1998. Eleni attended James Madison University in Harrisonburg, VA graduating with a B.A. in English and a minor in Technical Writing, with concentrations in Criminal Justice and Italian. She worked as a journalist right out of college and as a marketing writer when she moved to Connecticut. She has spent the last several years writing children’s books. She met her husband Allen “just like every Greek woman” - working at a Greek diner in Alexandria, VA. They joke that they should probably be getting royalties from “My Big Fat Greek Wedding” since much of it is their story. Her husband is a small business owner in Middletown and they have three children, Callista (17), Sabrina (15), and Lucas (8). 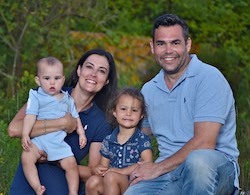 Eleni and Allen moved to Avon in 2013. Dan attended UConn, Storrs where he majored in economics and minored in marketing. He was Vice President of the Entrepreneur Club and was very active in other clubs around the campus. He is currently pursuing his MBA as well as a Master’s in Business Analytics and Project Management at UConn in Hartford. Dan’s parents came to the United States from Madeira, Portugal when they were ten and six years old. A fun fact for international soccer fans is that his grandparents’ house was two houses down from Cristiano Ronaldo’s childhood home and she knew the family very well. Dan is currently single and “looking for the right dog”. He has a brother who is a Chemical Engineer in Fairfield County. on Monday, August 27, 2018 at the Golf Club of Avon at 160 Country Club Road in Avon, CT.
We appreciate the support of our golfers, advertisers and sponsors. 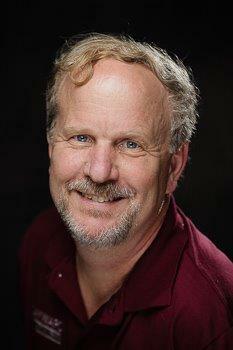 Steve Morris was born in a Navy hospital at Quonset Point, Rhode Island. Since his dad was an anti-submarine helicopter pilot, he and his family moved around quite a bit. 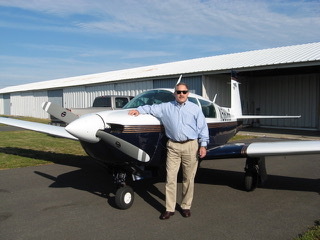 Steve has been in Connecticut since the 4th grade however, and he graduated from Simsbury High School. 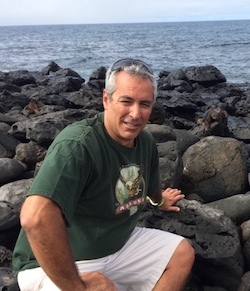 Steve attended the University of Rhode Island where he played football and received a BA in Psychology and UConn Storrs where he received his Masters in Public Administration. Christine Lamadrid holds a Masters in Educational Leadership from Nova Southeastern University. As an elementary school principal, her school was named a National School of Excellence and one of seven schools of curriculum excellence, highlighted in William Bennett’s final report as Secretary of Education. She had the privilege of meeting President Ronald Reagan and Secretary Bennett in Washington, DC. She currently volunteers at the FAVARH Thrift Shop. Raised in New Hartford, CT Michelle is the oldest of seven siblings, spaced over nine and a half years. She received her BS in Elementary Education from DeSales University and studied Spanish at the University of Granada. She recently earned her MA in International Education from the SIT Graduate Institute. Michelle teaches Spanish to fifth and sixth graders in Canton and is a roving instructor for the middle and high schools. Concurrently, she participates in a Fulbright Fellowship program, “Teachers for Global Classrooms”. This program included a one month stay last May in a small village in Senegal, Africa where she taught English and Spanish. The program includes a rigorous one year online curriculum which she will complete in September. 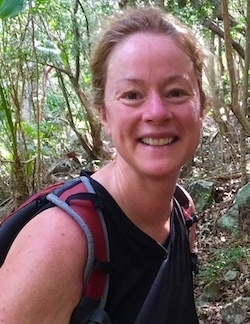 Getting to Know is the first in a series of profiles of recently inducted new members. Bruce Sayward grew up in Southington, CT doing woodworking with his father, who did it as a hobby. He eventually became a carpenter and has had his own business, Sayward Companies, LLC for over thirty-three years. Early in his professional life, Bruce spent eight years living in Colorado and Maine. 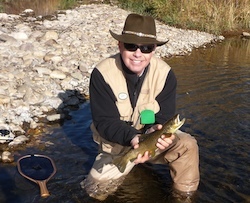 During his time away from Connecticut, he served in the Air Force as a Munitions Maintenance Specialist and attended classes at Colorado State and the University of Maine. He returned to Southington where he currently lives with his wife Bonnie. 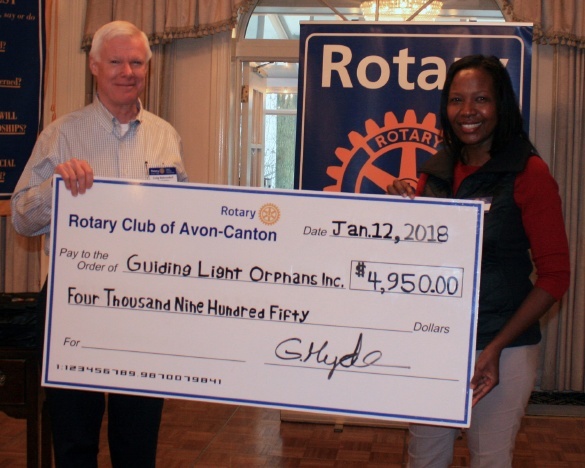 Rotary of Avon-Canton Building to break ground in May, 2018! The new Harry and Renee Haag Life Education Center (12,500 sq ft) and the Rotary of Avon-Canton Building (7,500 sq ft) have been approved by the Canton Planning & Zoning and Inlands/Wetlands Commissions. We hope to break ground on this exciting new project in May. 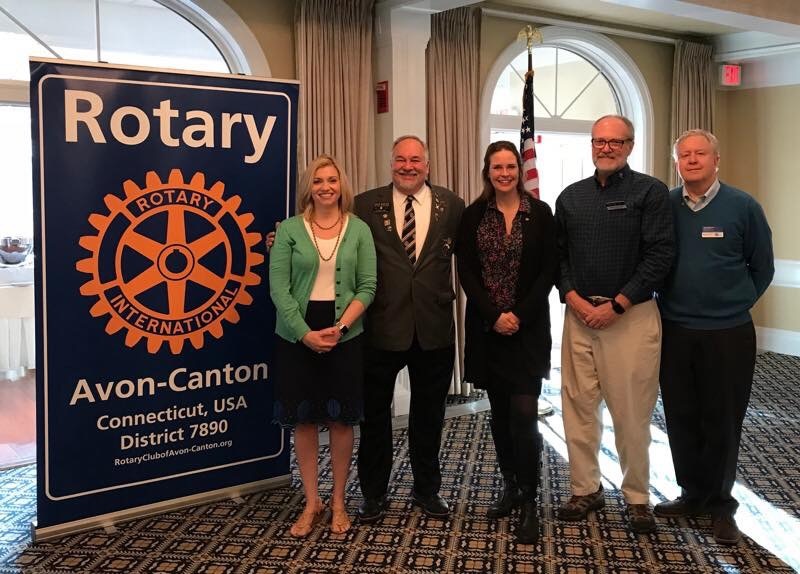 A check for $1000 was presented to Jill Brandon, Chair of the Canton Chamber's Gifts for Canton benefit by Rotary President Don Bonner and Gary Roman, Community Service Chair and Chamber President. The check was presented at the Canton Chamber Holiday Party at the Canton Historical Museum. Quite a few Rotary members were also present: (pictured left to right) Gary Roman, Jill Brandon, Ann Gagnon, Gary Miller, President Don Bonner, Sue Budde, Chuck Joseph, Colleen Grasso, Peter Vignati, Paul Nelson, Gary Hyde, and Larry Sullivan. 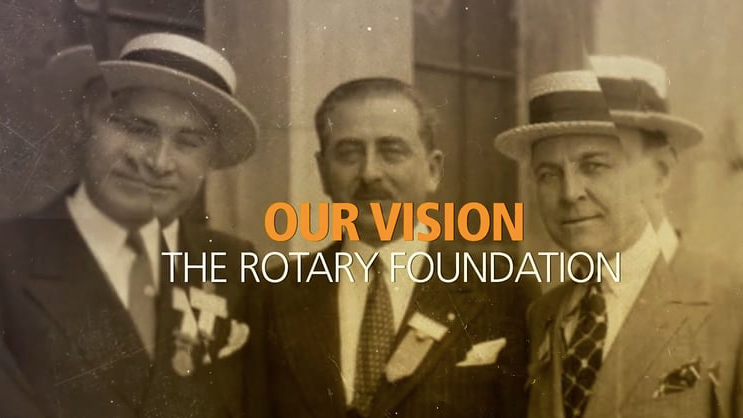 Rotary's involvement in eradicating polio started in 1989 when over 350,000 cases existed in the world. Barely 30 years later, only 10 cases exist--6 in Afghanistan and 4 in Pakistan--in 2017. 99.9% of the cases have been eradicated. 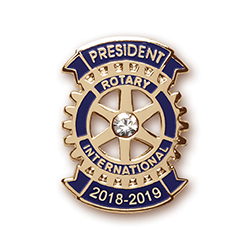 Over the next three years, Rotary has pledged to raise $50 million per year to support global polio eradication efforts. 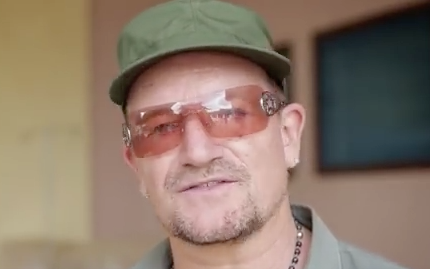 The Bill and Melinda Gates Foundation has agreed to match these funds 2:1. We must all commit to reaching the goal of ending polio in the world. We are so close. 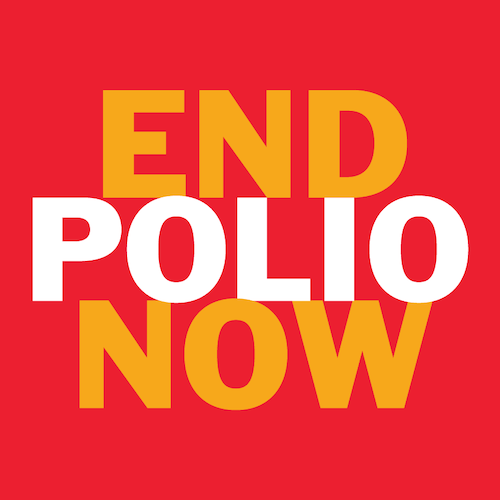 During the month of October, Rotarians in District 7890 have been asked to focus on the goal of a polio free world. 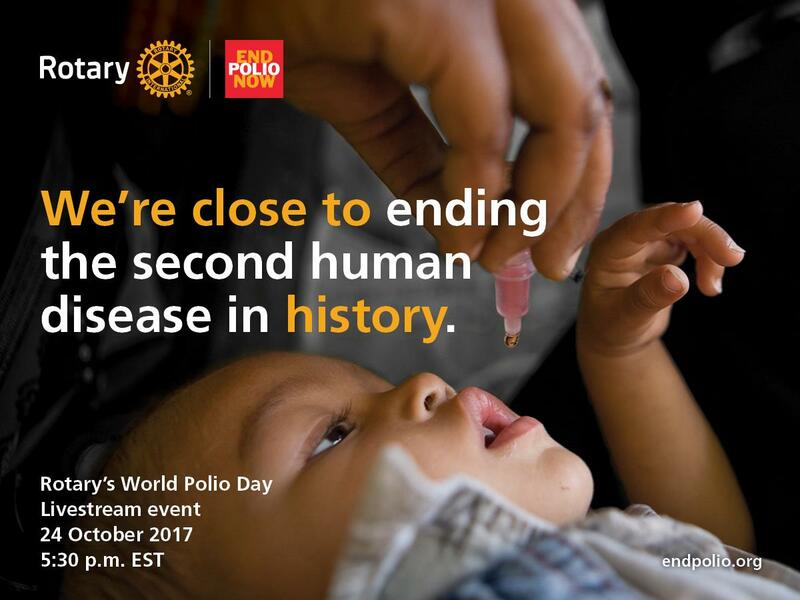 To this end, World Polio Day on October 24th presents an opportunity to sponsor programs to highlight our efforts and seek a continuing commitment from our members, friends and business associates. Special events are being planned around the world. A key event will the live streaming of the fifth annual World Polio Day event at 5:30 PM EST. The website: https://www.endpolio.org/world-polio-day has a host of materials and planning guides that can be used to plan events and learn what other Rotarians will be doing. Thank you to the 170 golfers who enjoyed a perfect day on a great golf course. Our sponsors and advertisers paved the way for an extremely successful event. 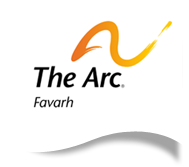 Thank you to our partner FAVARH for helping us to exceed our fundraising goal. A very special thank you to Tournament Chair, Larry Sullivan, his team, and the staff of the Golf Club of Avon for making the day a most enjoyable event for everyone involved. Thank you to the entire TOTV team for pulling off another successful event. Swaying to the rhythm of the music performed by Mass-Conn Fusion, our members and guests enjoyed great food, wine and other libations. 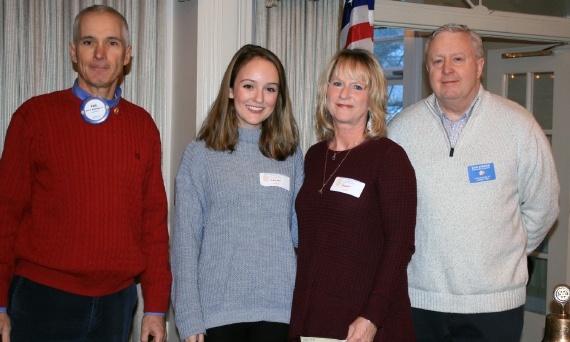 The event was co-sponsored by Seabury along with Gold sponsors: ENE Realty Associates and Collinsville Savings Society; Silver sponsors: Avon Chiropractic and Raymond James; and Table sponsors: Edward Jones of Avon, Simsbury Bank, NW Auto Group, and Myers, Piscatelli, & Link. Proceeds from the Tastes of the Valley fund our many local and international initiatives, including our $150,000 commitment to FAVARH toward their building expansion plan. 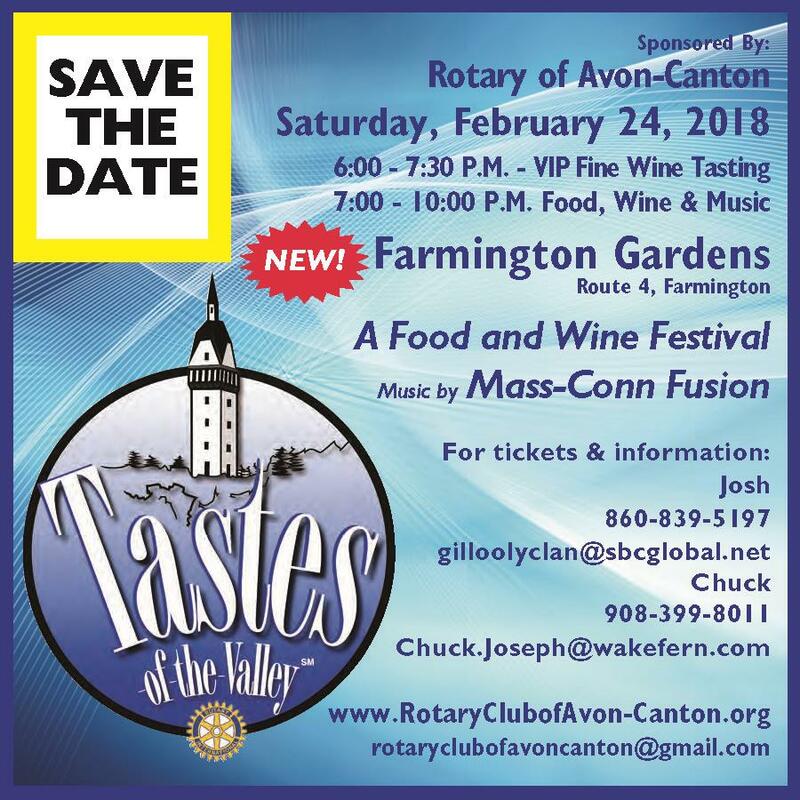 Keeping with Rotary’s commitment to public service, a portion of proceeds from the Tastes-of-the-Valley and the annual golf tournament will go towards the construction of an exciting new Life Enrichment Program (LEP) building for Favarh – The Arc of the Farmington Valley. This project will help the nonprofit provide even greater support for its clients with intellectual and developmental disabilities. 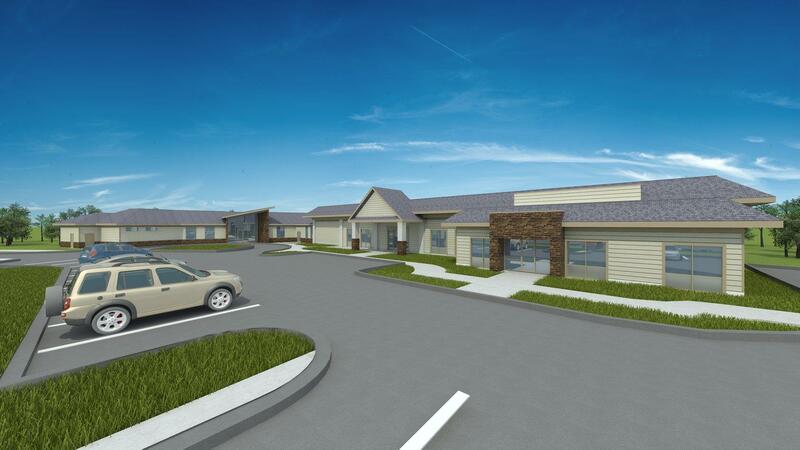 The 7,500 square-foot building, located at 100 Commerce Drive in Canton, will enhance Favarh’s day programs for adults who can’t work because of disability and medical complexities or who have retired from work. Favarh day programs place a high emphasis on daily community excursions with a priority on volunteer work. 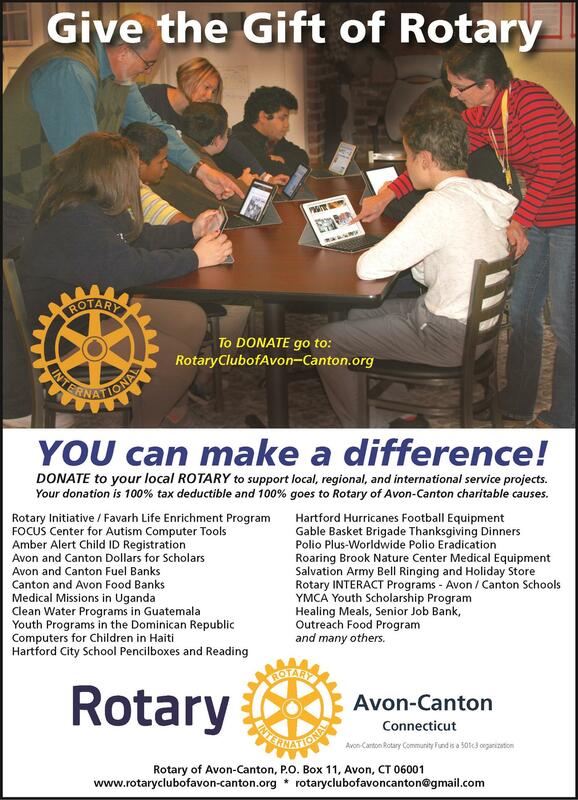 The Rotary has pledged $150,000 through 2021 toward the project. The new building will be adjacent to the Rails-to-Trails, enabling the inclusion of a Rotary Café operated by Favarh participants where walkers, bikers and their canine friends will be able to enjoy healthy snacks and drinks. Construction is expected to begin this summer, with completion slated for late 2018. 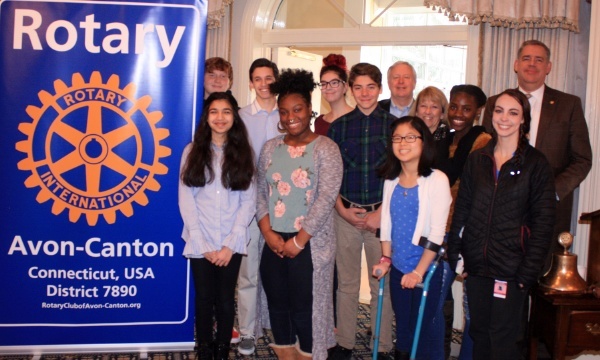 The Rotary of Avon-Canton presented two Paul Harris Fellowship awards to members of the community on Friday, January 20th. Dennis Bianchi served as a police officer in Avon from 1973 to 2000 and over many years, he has been involved in many community activities, fundraisers and has coached several children's teams in a variety of sports. He has been very involved in the Avon Volunteer Fire Department, where he directs the Citizens Fire Academy and helps raise funds for departmental needs. 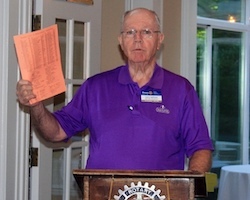 President Don noted the similarities between Mr. Bianchi and the many Rotarians he knows who are very active in their communities. Past president Gary Miller introduced our second Paul Harris Fellowship recipient, Rebecca Stevenson. Ms. Stevenson is also a Burlington resident, and is Director of Admissions & Marketing at Cherry Brook Health Care Center in Canton. She has been very involved in her community, participating in community events and fundraising. 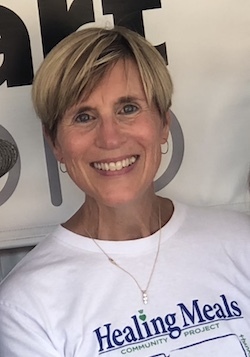 She serves on the Canton Chamber of Commerce Outreach Committee, and has supported organizations such as Gifts for Canton, Focus on Canton and the Canton Senior Center, as well as the event Walk for Food & Hunger. Sarah Bonner is the youngest daughter of President Don. Sarah graduated from the Avon schools in 2010. While in high school, she was an original member of the school's cappella group, Rhapsody, and an active participant in the Unified Sports program which is a high school based Special Olympics program. Sarah attended the University of Mass-Amherst where she was a double major in Social Thought & Political Economy and Sociology with a minor in Women, Gender, and Sexuality Studies. She graduated in 2014 and entered the Peace Corps as a volunteer in the Dominican Republic. Sarah was a youth, family, and community development volunteer in a small town on the Haitian Boarder. She recently was a speaker at our club presenting the accomplishments and struggles of being a Peace Corps Volunteer. 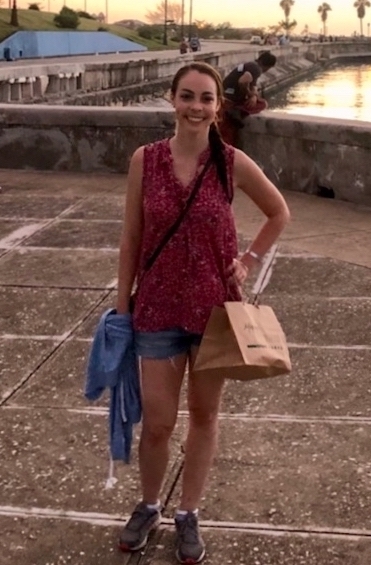 Sarah finished her work with the Peace Corps in October 2016 and is now working at a non-profit organization in Boston focusing of attaining housing and basic resources for low-income families. 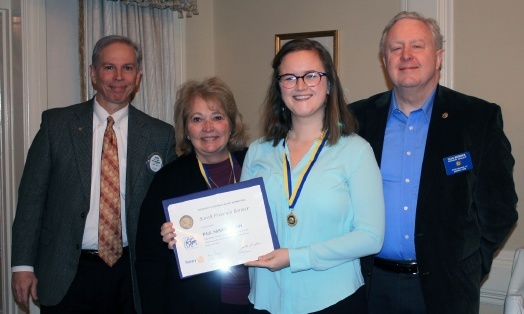 In recognition of her "service above self" she was presented as a Paul Harris Fellow. On Friday, Dec 16th, a check for $750 was presented to the FOCUS Center for Autism in Canton for their programs supporting students and young adults on the autism spectrum. Pictured are Community Service Chair, Paul Mikkelson, Lauren and Yvonne Gardner of FOCUS Center for Autism, and President Don Bonner. On Friday, December 16th, Foundation Chair, Joanne Santiago, and President Don Bonner presented a Paul Harris Fellowship to Sean Blacker, a member of the Avon Old Farms Hotel staff. Sean's award had been announced to his manager, but was a total surprise to him. 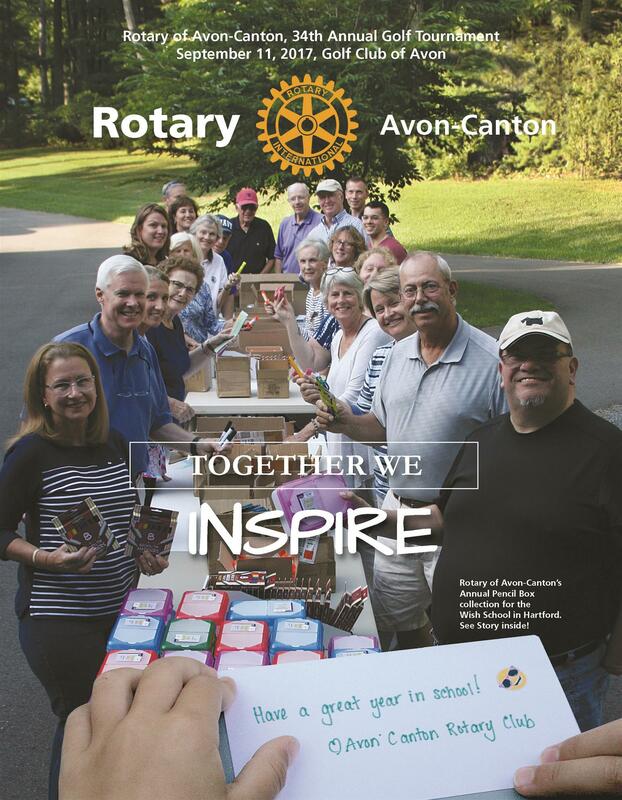 Sean has been an integral part of the Rotary Club of Avon-Canton for many years. Each Friday he ensures that our meeting room is ready to go by coordinating with other hotel staff and management. He is always alert to room assignments and schedule changes that need to be communicated to our club President and Sgt-at-Arms. Our members are indebted to Sean for his outstanding service. A check to the Rotary Club of Livingston Parish Louisiana was presented this morning for their Flood Relief project. (L-R) Gary Miller, Immediate Past President; Paul Mikkelson, Community Service Chair; and Don Bonner, President 2016-2017. 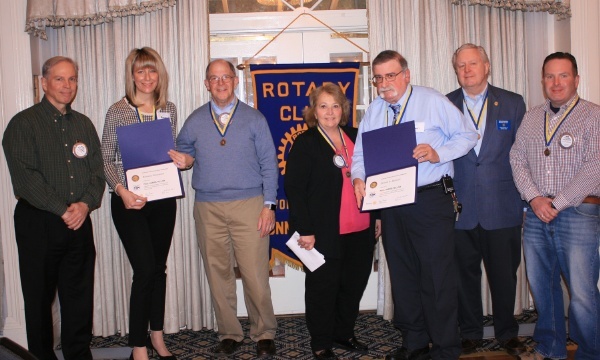 Congratulations to Paul Cioffari and Nancy Nation, who were recognized for their Rotary Foundation donations. 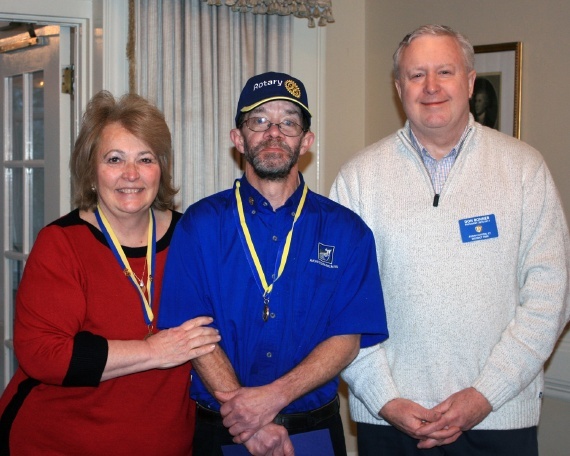 Foundation Chair, Joanne Santiago, and DG Frank Wargo had the pleasure of giving Paul his first PHF pin and medallion. Nancy received her PHF +3 pin. for making our 33rd Tournament a success. Sara Pressman presented the story of Mercado Global at our Friday, April 29th meeting via a Skype video chat live from Guatemala. 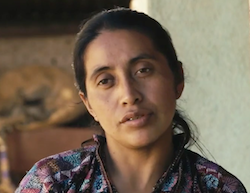 As part of her PowerPoint presentation, she presented a Day in the Life of a Mercado Global Artisan. 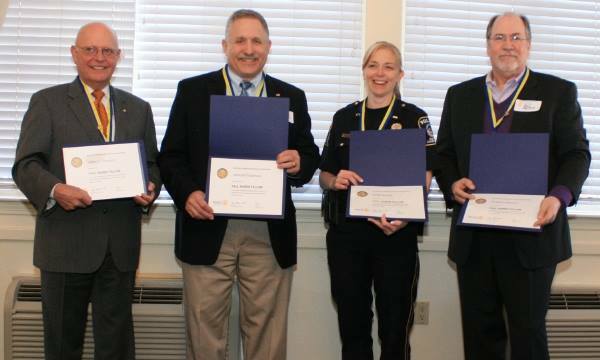 Four members of the Avon and Canton community were awarded Paul Harris Fellowships for their public service on April 15, 2016.